The Classics and Archaeology Collection was founded with funds from Jessie and George (G.H.) Sutton to establish the John Hugh Sutton Classical Museum. John Hugh Sutton had been a resident of Trinity College when he died in an accident (he is also commemorated with a portrait bust by Web Gilbert in the collection). The funding allowed for the purchase of 13 Greek pots, nine figurines and 100 Greek coins. The coin collection was subsequently augmented by the Jessie Webb Collection and by further acquisitions, and now comprises 745 coins. In 1969 the collection was placed on display in the Department of Classical Studies, and the following 20 years saw considerable growth in the Greek vase collection. There are now nearly 200 Classical pieces in the collection, including a number of fine Athenian vases. The collection also includes Egyptian papyri and medieval European and Eastern manuscripts and early books. 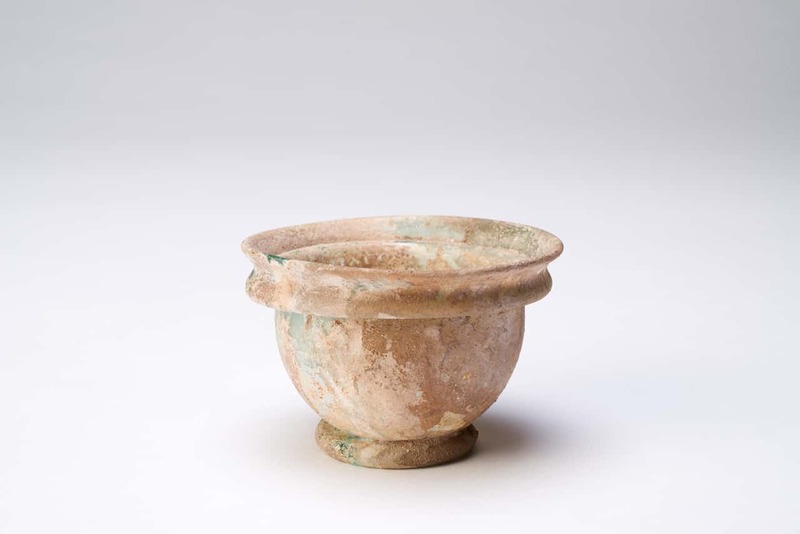 A number of Egyptian objects, said to come from the Flinders Petrie excavations of 1920, are also included in the collection. In 1990 the collection was augmented by over 500 objects from the Near Eastern Studies Collection, including carved ivories from Nimrud, Egyptian stelae, bronzes from Luristan and Roman glass. In addition, the collection contains an extensive and rare collection of 110 plaster casts and reproductions, some of which depict Assyrian palace reliefs and a range of texts and inscriptions, including a copy of the famous Mesha Stele. In 1987 the Department of Classical Studies purchased an important collection of Cypriot pottery from the Australian Institute of Archaeology. It comprises approximately 200 intact or reconstituted pottery vessels and an extensive range of sherds. The collection is also enhanced by gifts and long-term loans of outstanding pieces, as well as material collected from the archaeological field work of the School of Fine Arts, Classics and Archaeology. The Potter acknowledges the Wurundjeri people of the Kulin Nation as the traditional owners of the land on which we work and create. We recognise that sovereignty was never ceded and pay our respects to Elders, past, present and emerging. Subscribe to our newsletter to receive the latest updates from the Potter.